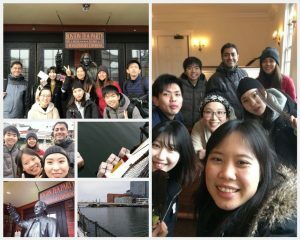 Yesterday our volunteer Ran lead an activity to the Boston Tea Party Ships and Museum. It is an interactive, high tech, floating museum! Unlike anything you’ve ever experienced before, this unique museum sits on a barge in the water, includes tours on restored tea ships and a stunning, interactive documentary that immerses you into the events that led up to the American Revolution.